The Anlin Coronado window is the premium model that the company offers to consumers through their dealer network. 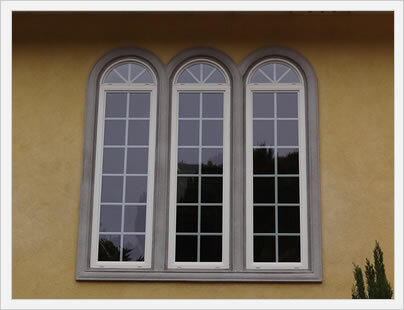 The windows are available as a casement, double hung, double slider, awning, bay and bow window, or in a number of geometrical shapes and options. The Coronado has a frame depth of 3 1/4" and an extrusion thickness of .080". In addition, the window uses a double strength glass, has equal sightlines, a single vent latch, silver coated glass and a Platinum Elite spacer system. This model also includes a flush title latch and an extra vent latch. This premium series includes a host of additional ordering options that includes fourteen frame color options, two window glass packages, two casing styles, five hardware materials and 3 grid patterns. With the standard low-e glass and argon fills, consumers can expect .32 U-factor, .21 SHGC, .44 visible transmittance and 55 condensation resistance. 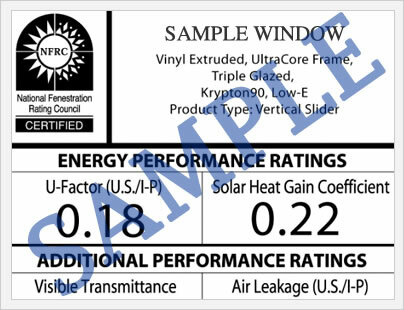 The upgraded InfinitiPlus window glass with the argon fills in the double hung will have a .21 SHGC and .28 U-factor, .44 visible transmittance and 58 condensation resistance. All in all, these are decent performance ratings. The Anlin Coronado window comes with the company's Limited Lifetime Warranty that covers the mainframe, sash and all other components for the life of the window. The company also includes accidental glass breakage. The warranty is completely transferrable for the first 15 years from the date of purchase. All in all, the company offers a quality and comprehensive warranty. Of course, there are exclusions and limitations that consumers should read thoroughly before purchasing the Coronado Series. If you have questions on the Anlin Coronado window and would like professional answers from industry experts, submit your questions here. Do you have Anlin Coronado reviews that you would like to share with the rest of the online community. If so, please submit your reviews in the form to the right and we will post your reviews on this page. Milgard Tuscany or Anlin Coronado? I'm stuck between which one, any advice? Looking at vinyl double hung frames. Dave, the Milgard Tuscany and Anlin Coronado are pretty similar in terms of performance, although I'd probably give the nod to the Coronado series for the number of features and options it offers. If those were my choices (and I like both of these windows), I might pivot from the windows to the installer/company who is doing the work. How do they compare? Reputation? Referrals? Price? Scheduling? Gut feeling? I think this would be my deciding factor over these two similar windows. Let me know what you go with and what you end up paying so I can share the info with other consumers who may be considering these two quality options.